There is a cute Video story about how the Scout elves, who work for Santa, reporting on the child's behavior each night. The next morning the kids look for their elf in their house -- Parents put the elf in different places and set up to share a message to the little child. 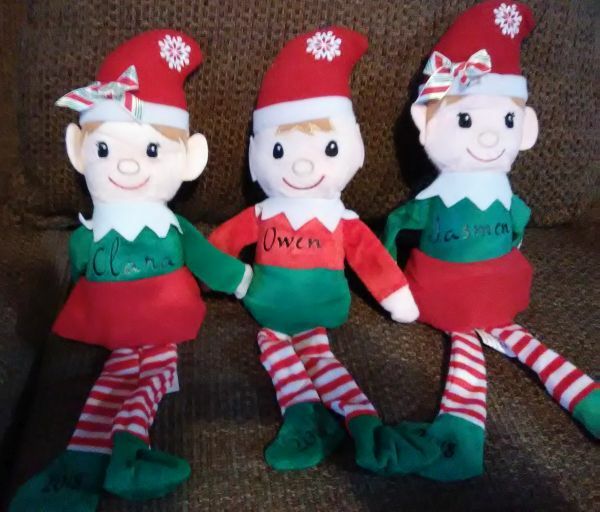 The Child can send notes to Santa Letters via their elf too! Fun Family Tradition. Call or come into Castlemoyle Books to order and prepay. Accept all credit cards or paypal. Can ship to a child or family out of the area for cost of postage -- Call 509-843-5009 or come and see!